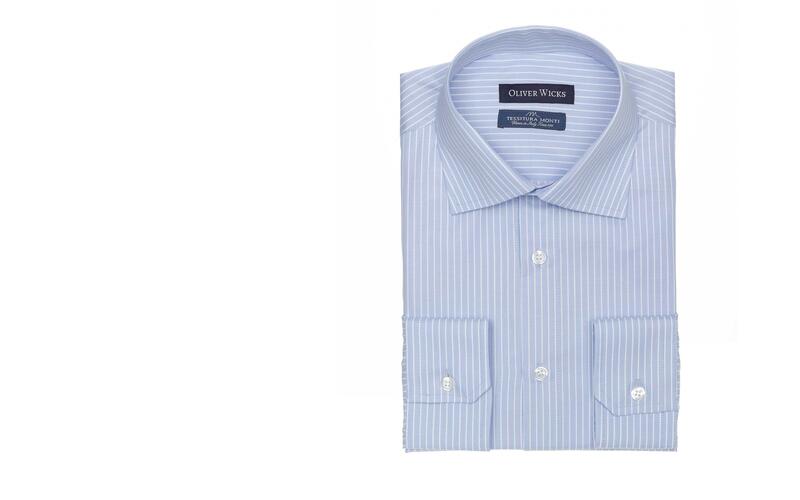 A proven wardrobe staple for the dandy man, this White Striped Blue Shirt is a pleasure to wear and style. 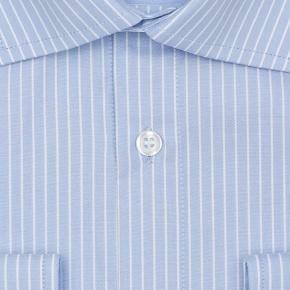 You will get bonus points for the wonderful 100% Italian cotton fabric and the perfect custom-tailored fit. 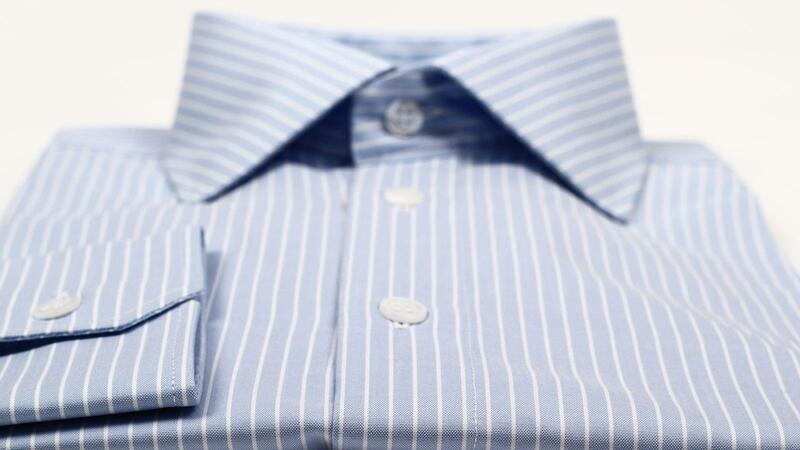 It goes extremely well with dotted ties for a geometrically balanced look. 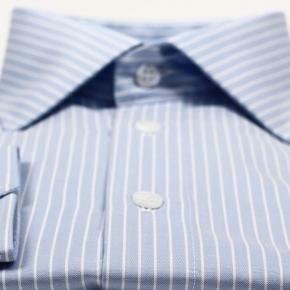 Needless to say, when picking the right accessories Italian silk comes highly recommended.